Bajaj has now launched the new Pulsar 220F which comes with a BS4 engine. It had been a long time since Bajaj had updated the Pulsar 220 and now they have quietly launched the 220F with a cleaner BS4 engine. 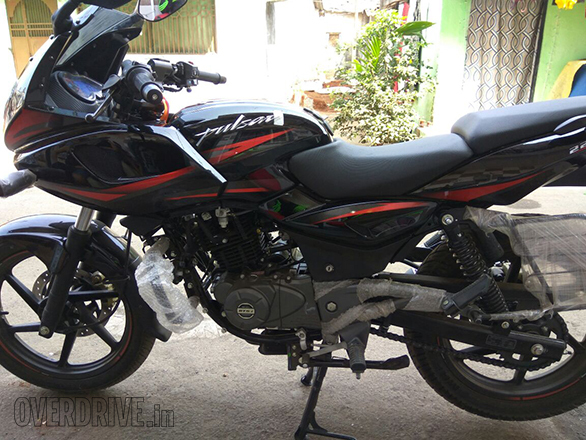 The pictures show us that there are changes in the color schemes of the new Pulsar 220. 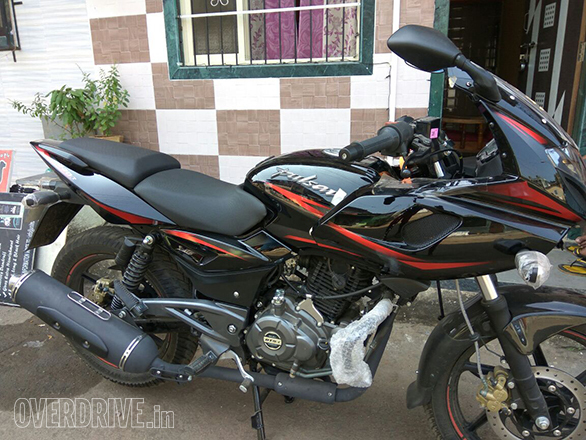 New Pulsar 220F gets a red and black color scheme as seen in the pictures. Bajaj had moved the fuel injection setup on this to a carburetor one and the 220F had not got an update since that. Now, Bajaj is back with fuel injection and the lost F in the 220 is back to where it belongs. Changes on the outside is not many except that it gets an all black exhaust now which previously came in chrome. The 220F still comes with the same engine displacement and makes the same 21.05PS @8, 500 rpm and 19.12Nm of torque @7000rpm. Although the timing chain has been changed for a quieter operation and the power delivery is expected to be a lot linear, and the engine more refined. Bajaj retains the same 5-speed gearbox on the 220F. There are other small changes Bajaj has made to the bike which include softer seats, manual choke and red wheel rimtapes. 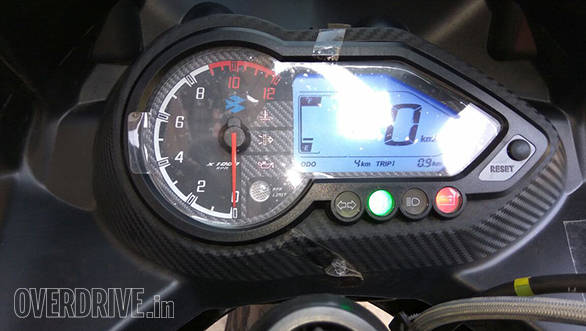 Digital type instrument cluster now comes with a blue back-light. 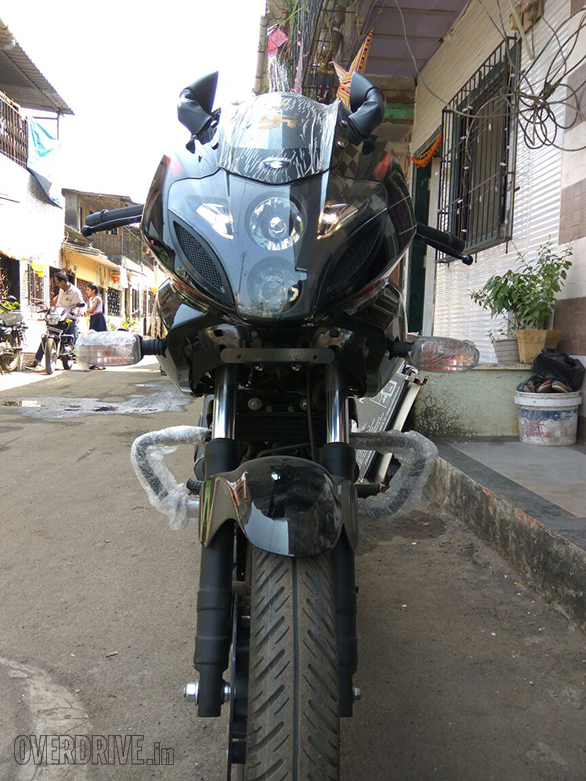 New Pulsar 220F comes at a price tag of INR 91, 000 ex showroom Thane and 1.03 lakh on road price. Since the Hero Karizma, which used to be 220F’s competition has now been discontinued, Pulsar 220F now rivals the Suzuki Gixxer SF and Yamaha Fazer fi. For more news like us on Facebook, subscribe to us on YouTube and follow us on twitter.